I've had the Urban Decay Flushed Palette for months now, and as much as it pains me to admit it, I just don't use it as much as I should. Which didn't stop me from picking up the newer Urban Decay Palette in Streak when it was released in the summer. Can I justify owning both? Don't we all wear blush, bronzer and highlighter on a daily basis- can you ever have enough? Both palettes look pretty similar- in fact that are identical from outside and the front and if it wasn't for the giant sticker on the back of Streak, I would have to open them up to differentiate between them. They are laid out in the exact same way in the inside- with a big bronzer, smallish highlighter and blush to the far right. One of my peeves with these palettes is that there is no partition between the colours, it's one solid block with three colours and I live in fear that the colours will cross contaminate between themselves. I know others love the fact that there are no partitions so I guess this comes down to personal preference in the end. They are both the exact same price- €29 if memory serves me correctly! Even though I was very happy with the colours in the Flushed palette, I still felt drawn to the Streak palette because I thought this would give me more options on days when I want to look slightly less bronzed/ blushed/ highlighted. The colour of the blush in Streak particularly appealed to me- clearly a lighter toned pink than what's on offer in the Original Flushed Palette. I know they might look pretty similar but they are actually quite different in the flesh- the bronzer in Streak is more golden than bronze, and the highlighter in Original is definitely pinker than the Streak offering. 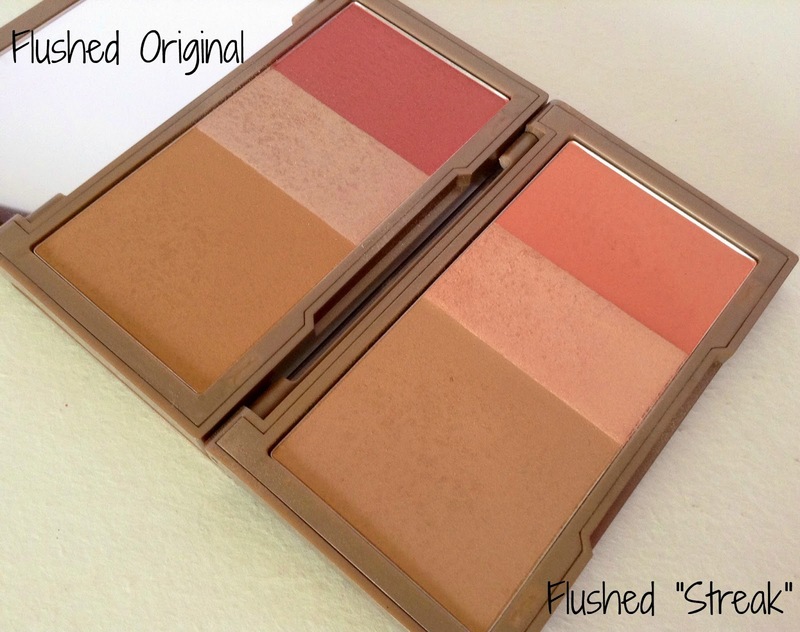 The main and most noticeable difference is the blush, and you can see from the swatches below. As you can see from the swatches below, there are marked differences between the counterparts, and I've labelled them down below so you will be able to differentiate which palette is which. In terms of a favourite, I would have to give the accolade to Streak- I just prefer everything about it- the shades of bronzer/highlighter and blush are more appealing to me. So humour me, can I justify owning both of these? Are they sufficiently different or do you just think I am bonkers? 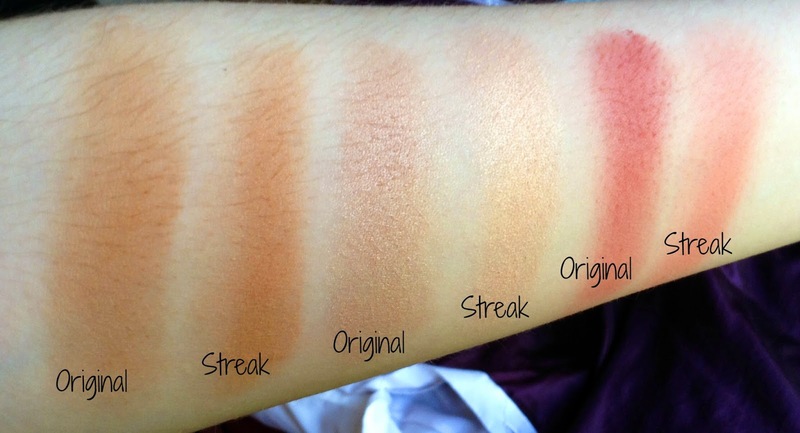 I love the blush colour of the Streak palette! 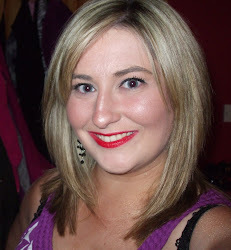 You're blog name definitely suits you missus - you are for sure a makeup addict! Not sure I would go out and buy both as they are a little too similar for me but it's great to see the comparison on here!